Do you have Internet access on board? Yes, you can access Internet through Wi-Fi in the Lounge on your personal computer or mobile device, or use public computers connected to the Internet in the Library. Internet connection is available 90% of the time during the cruise. We ask our guests to refrain from smoking in all inside areas at all times. Smoking is only allowed in a specially designated outside area on the Sun Deck. Unfortunately the technical layout of the ship does not allow for an elevator. Main stairs however have been reconstructed in a way to make them less steep and more comfortable for walking. I have special diet requirements – can your Chef accommodate it on-board? Along with the regular dishes, our standard daily menu also features a vegetarian option. If you have special dietary requirements (vegan, low salt, no pork, etc.) please make sure to send them to us. Our Chef and Maître D will follow your personal diet and will serve the food you are used to. Can I send mail and make phone calls during the cruise? How do I pay for the drinks and optional services on-board the ship? We do accept all types of credit cards, including Visa, Master Card, Circus, and American Express. During the day, comfortable & casual attire is appropriate. The evenings are smart casual (e.g. a shirt and trousers for gentlemen and a skirt and blouse for ladies). There will be Welcome and Farewell dinners so you may like to bring something a little dressier for these events; gentlemen may wish to wear a jacket and tie and ladies a dress. No black tie is necessary. Do you cater for special celebrations eg birthdays? If your relative will celebrate a special date during the cruise, our staff will be pleased to deliver champagne/flowers/a post card to their room or make other special arrangements. 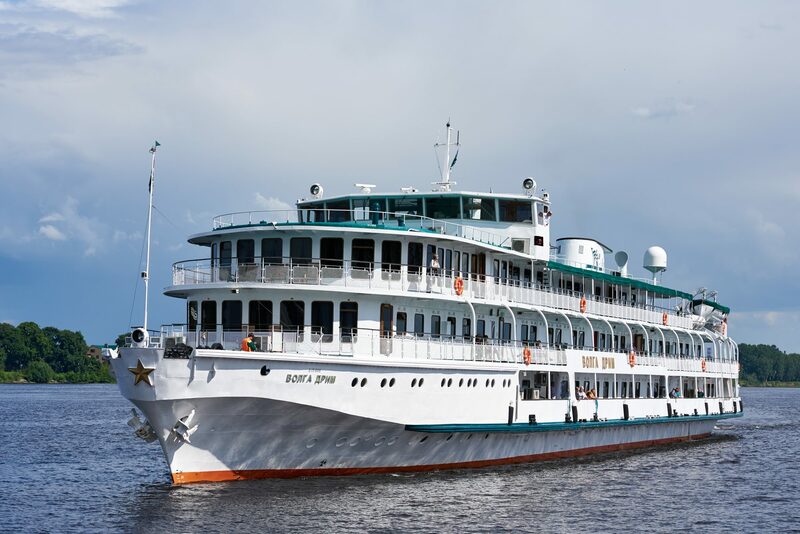 What language is spoken on-board the Volga Dream? Which shore excursions are included in the cruise price? Included in the cruise price are all shore excursions in small towns with a group of maximum 25 people (GOLD) or 18 (PLATINUM) accompanied by an English speaking guide. Excursions in Moscow and St. Petersburg, as well as airport transfers can be ordered extra.